Having an effective social media marketing strategy in place is what is essential for the success of digital marketing. And effective in terms of increased exposure, higher engagement, more clicks and ultimately more conversions. Here we are sharing 8 unusual but powerful tactics that will spice up your social media marketing for a boost in traffic and conversions. A kickass way to boost conversion is to offer the followers exclusive giveaways and freebies in reward of sharing your content. You can ask the followers to share your content by offering them freebies. Free downloads, free products, discount offers etc. are a few ways to reward them. This will not only encourage them to share the posts, in fact, it will build a long-term and genuine fan base for your brand. You are putting hard efforts in social media marketing, posting great information. But still you are unable to get noticed. People are not aware of your brand as your posts get buried in tons of other posts. Using hashtags will keep you alive in such a crowded space. Using the best hashtags and embedding your posts (on Instagram, Facebook, Twitter and Pinterest) with them will let your content viewed by more people. On Monday, use #MusicMonday; On Tuesday, use #TransformationTuesday or #TFT. Note: Maintain a right count of hashtags in order to get more clicks. 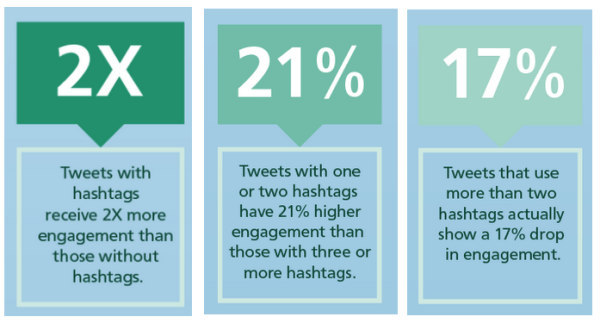 Using 1-2 hashtags per post increases the engagement by 21%. And that is a huge ratio to drive higher conversions. When it comes to driving an unsurpassed user engagement that turns into clicks and conversions, the content strategy is the core that a brand should consider. Topping up your social media marketing with visual content will stimulate your brand exposure with a higher conversion rate. According to a research conducted by CMI, 65% of senior marketers are of opinion that visual content is the core to communicate their brand story. 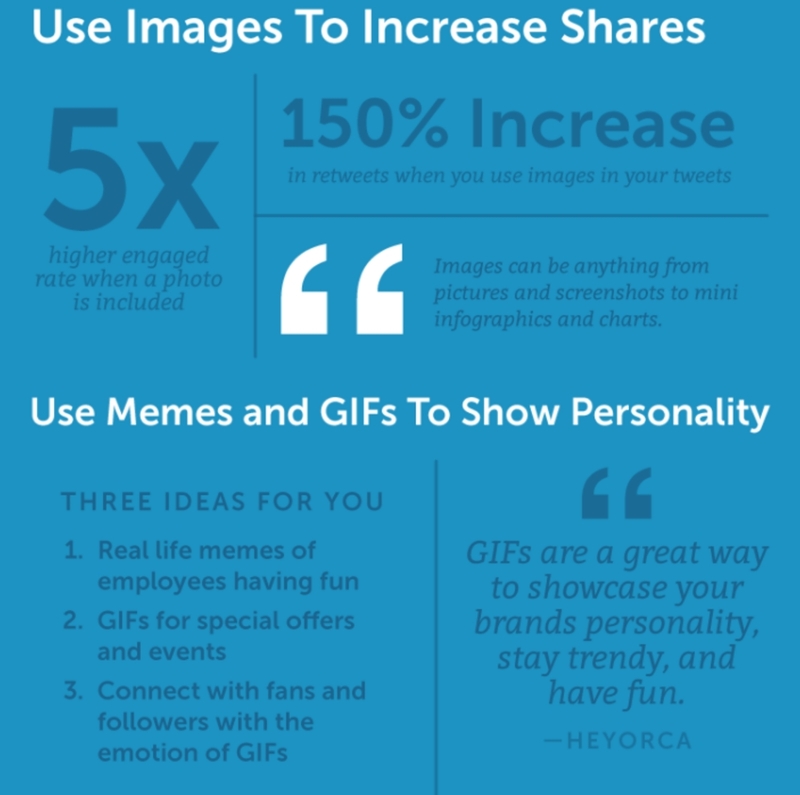 Around 5 times higher engagement is noticed when a social media post includes an image. And 150% increase in retweets of the tweets having images is another solid proof to work diligently on visual content. This comprehensive infographic by CMI will tell you more about the worth of visuals for social media marketing. One smart way to utilize social media for increasing the conversions is to apply it directly to your website or app. With social logins, you can have an instant boost in user signups that automatically leads to a tremendous conversion rate. WebHostingBuzz came up with a research revealing amazing statistics that around 86% of people find new account creation (for a website) a fatigue. 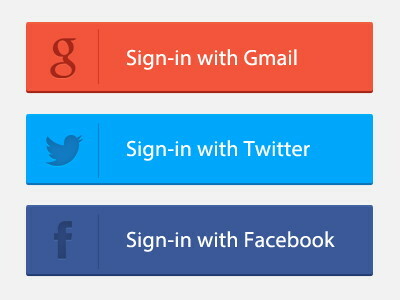 Social login is one of the splendid ways to get the users signed up for your website. Instead of filling lengthy forms (for creating the account specifically for your site), the one-click signup is a comfortable option for users. They find it easier as well as appealing as they don’t need to create a new account nor they would have to memorize the passwords used for your websites. You must focus on building a community on social media in order to drive clicks and conversions. As much you care about your fans, followers, and influencers, that much reward you will be getting back. A practice to maintain an engaged community is to tag guest bloggers, influencers or followers in your social messages. By having guest bloggers to write for your blog, you can tag them in the social media posts intended to promote those blog posts. So, they will also come to know about comments, likes, and shares for their work. You may also craft a quote based graphic and tag the person in your social message. This is another way to get in touch with such industry experts or influencers. Another powerful tactic to boost clicks and conversions is to tie a strong bond with followers. And a Facebook group is a wonderful option to strengthen this bond. Having your Facebook group will let you engage with users actively. You can get their feedbacks, opinions, ask them different questions, post polls, surveys and a lot more to get them participating. When it comes to sharing your own content on social media, the headline plays a pivotal role in getting clicks. Your headline must be persuasive enough to compel a user to click through it. And that is why we recommend you greatly to employ powerful yet emotional headlines while sharing your content. There can be a number of types of headlines, but the list, how to, and question-based headlines receive a higher engagement. Keep testing different headlines to analyze and track the results for achieving the desired conversion rate. This social media marketing tactic is going to give you an instant boost in conversions. Hosting a Twitter chat with followers is something that results in a meaningful engagement. Set up the best date and time for the chat when most of your followers are active. Analyzing the time when most of your followers retweet, like and comment, can give you the insight about the best time to hold a chat. And be consistent with the chat times so your followers will easily remember the time of your chat. The next preliminary step is to choose the topic and appropriate hashtag to be used in conversation. Be meticulous while selecting the hashtag. Keep it concise and short so that it is easy to remember. Plan out your chat in advance by breaking up the time into a set of questions that you as host will be asking the participants. Make a thorough plan for the upcoming weeks and the topics going to be discussed in those chats. Share this schedule with your followers to keep them excited about the future conversations. Your social media marketing plan should not be centered across a specific network. Shape it up to stay active across different social channels. By maintaining a regular sharing and posting schedule on every network will give you an edge over others. Posting your own and sharing others content as well will leverage your relationships with followers and influencers. This will nurture your connection with the target audience and they will check out your social media posts on a regular basis. So, you will have a higher click through and conversion rate in the result. Practicing the mentioned tips will help your social media marketing strategy achieve the desired conversion rate. Keeping a regular posting schedule, building a continuous engagement routine and testing various tactics will enable you to enjoy more clicks and conversions.